Microsoft is getting 2018 off to a fast start with a deal to acquire Avere Systems, which makes flash-based storage products that can be used to sort and store data either in the cloud or within hybrid environments. The two companies announced the deal Wednesday, but no financial details were released. It's also not clear what will happen with Avere's employees, but Microsoft noted that it would "look forward to the impact their technology and the team will have on Azure." Founded in 2008, Pittsburgh-based Avere has been developing hardware and software that allows companies to sort and store data across multiple platforms, whether traditional, on-premises data centers, in hybrid environments or within public clouds. Avere's technology includes high-performance Network File System (NFS) and Server Message Block (SMB) file-based storage systems for Linux and Windows. Specifically, Avere has focused on moving high-performance computing (HPC) workloads and data from traditional data centers into the cloud. The company has a roster of big-name entertainment companies that use its appliances, including Sony Pictures Imageworks, Illumination Mac Guff and Moving Picture Company. In addition to entertainment, Avere works with life science, education, oil and gas, financial services, manufacturing companies, including the Library of Congress and John Hopkins University. "Avere's cloud solutions provide low-latency data access to datacenter storage resources, remote offices and the public cloud," Avere CEO Ronald Bianchini Jr. wrote in Wednesday's blog post announcing the deal. "Our customers efficiently share both storage and compute resources across multiple data centers, and effectively implement and use private and public cloud infrastructures." 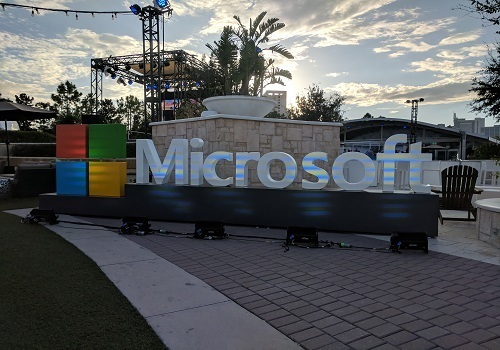 For Microsoft Corp. (Nasdaq: MSFT), the deal means combining Avere's storage technology into its Azure public cloud at a time when customers are considering moving ever larger workloads, including high-performance computing, into the cloud. "Avere uses an innovative combination of file system and caching technologies to support the performance requirements for customers who run large-scale compute workloads," Jason Zander, corporate vice president for Microsoft Azure, wrote in a blog post. The deal is a coup for Microsoft against two of its main rivals, Google Cloud and Amazon Web Services Inc. , which both used Avere's storage technology. Since its founding ten years ago, Avere has generated about $86 million in investments and funding, according to Crunchbase. During its $14 million Series E round in March, Google made a significant investment, which led to some speculation that the search giant might try to acquire the company. That means Microsoft has about 15% of the market compared to Amazon's 44% market share. An acquisition is important if they intend to expand their coverage to reach a bigger audience. Cloud is so popular today and its demand is growing extensively. To be able to meet the growing demand, the merger of two different entities is needed to cover a larger area and to cater to demand from different locations.